Indigenous Peoples hold Key Knowledge for Sustainable Water Solutions — If Not Us Then Who? Water is life. Yet our freshwater (which only makes up 2% of the world’s water) is under increasing threat from rapid climate change, contamination disasters and population growth. The future of that 2% is in jeopardy. Climate change is making wetter regions wetter, with heavier rainfall causing flooding and faster movement of water into the oceans, while dry regions are getting drier, causing drought. Inland glaciers melting is also reducing our freshwater stocks. Meanwhile global demand is set to increase by a third by 2050, according to the UN. But we already have the solutions. 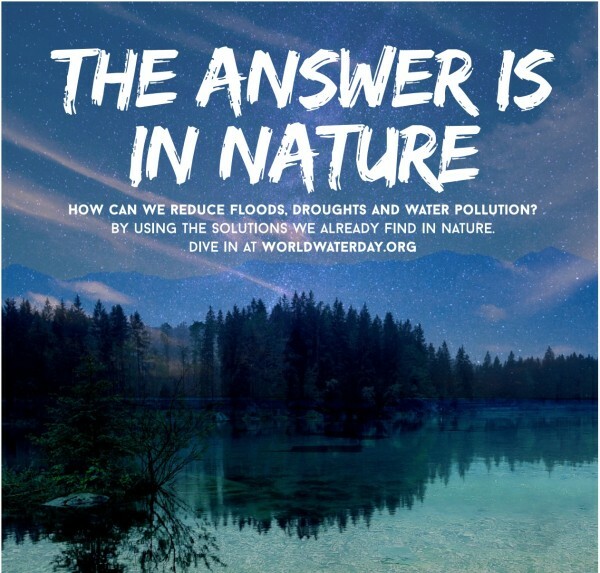 The theme of World Water Day 2018 is ‘Nature for Water’ – using the wisdom of natural ecosystems to tackle problems such as floods, droughts and water pollution. It calls for ‘Nature-Based Solutions‘ such as restoring wetlands and forests to prevent flooding, rather than simply building concrete flood defences, or harnessing natural wetlands for groundwater recharging and water storage rather than just building dams – prioritising ‘green infrastructure’ in water management planning, rather than just ‘grey infrastructure’. Forests have a high capacity to retain water in the soil through their roots and help to maintain the water cycle by transpiring through their leaves, while wetlands improve water quality by filtering out pollutants. 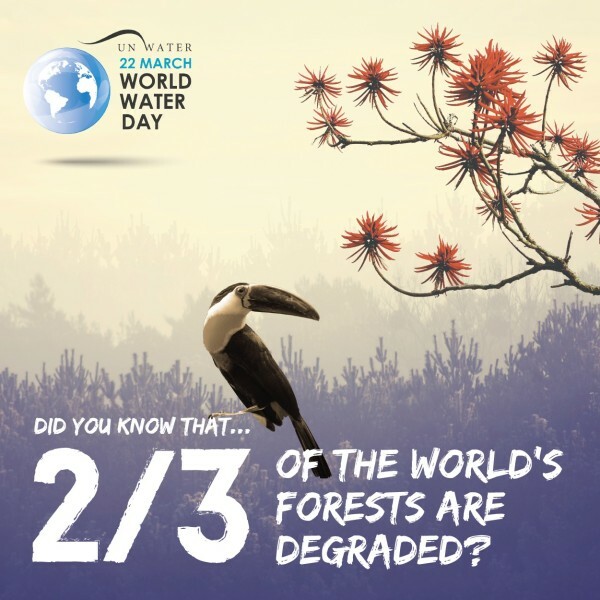 However at least 65% of forested land is in a degraded state and an estimated 64-71% of natural wetlands have been lost since 1900 as a result of human activity (UN World Water Development Report 2018). Indigenous peoples and local communities care for an estimated 22% of the Earth’s surface, and protect nearly 80% of the remaining biodiversity on the planet, while representing only close to 5% of the world’s population (ILO, 2017), as stated in the UN report on nature-based solutions released this week. The more that nature-based solutions take central roles in water management planning, the more likely they are to work in harmony with local indigenous peoples and their ancestral knowledge. Indigenous communities have been operating ‘nature-based solutions’ for millennia, developing intimate understanding of the water sources and ecosystems in their territories by actively engaging with it both physically and spiritually. One of the largest sources of fresh groundwater in the world is the Guarani Aquifer, covering 1.2 million sq km across Brazil, Argentina, Uruguay and Paraguay. It is named after the Guarani people and is sacred to them. Guarani author Timoteo Popygua writes about its meaning for his people in his new book ‘Just One Earth’. From privatisation of water sources and restricted local access, to mass contamination disasters from mining and river stagnation from dam constructions, indigenous peoples across Brazil and the world are facing assaults on their water. When the Fundão tailing dam in Minas Gerais, Brazil, ruptured in November 2015, it unleashed 50 million tons of toxic waste from one of the world’s largest iron mines into the Doce river. It was the largest environmental disaster in Brazil’s history. The Mariana Disaster, as it is known, killed nineteen people and completely contaminated more than 500km of the Doce River. The Krenak people who live along the Doce River have had many aspects of their way of life destroyed, the river being central for fishing, bathing and many traditional ceremonies. They have been denouncing this crime of gross negligence and seeking justice, such as at the UN Climate Conference COP23 in Bonn, as is shown in this video of regional leader Geovani Krenak. This is at the core of how indigenous peoples have developed great resilience; understanding themselves as within nature, they interact with it in tune with its own rhythms, yet also proactively to ‘optimise’ their environment in ways that help nature’s own ‘engineering’ function at its best, and benefit their communities. Just as ‘nature-based solutions’ do. Time and again huge infrastructure projects are planned with absolutely no consultation of local communities, no collaborative planning, no process for free, prior, informed consent, which is required by several international treaties, and a very limited share of the benefits generated, if any. The Standing Rock Sioux drew worldwide attention to the ongoing dismissal of indigenous demands in such constructions. With increased interest in nature-based solutions, there is hope that governments can stop viewing indigenous communities as obstacles to drive over, and start to really value their extensive reserves of knowledge, with all the keys that they hold to some of our most urgent rising problems.